I have been frequenting David’s Barber Shop for the past 8 years. It doesn’t offer a good haircut, but it provides a unique cultural flavor that keeps me coming back. It’s a small shop tucked away inside a brick building on a quiet side street in Oceanside, New York. David, the shop’s proprietor, is a Russian-Jewish immigrant. 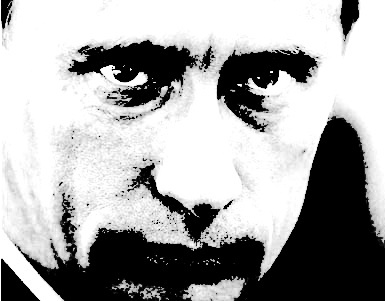 He is severely restrained in expression and speech but can command his domain on the strength of one chilling and terrifying glance. His tightly tailored European shirts reveal the body of a man who has indulged in all of the spoils his success has afforded him. His neck and wrists are adorned with splendiferous jewelry, and he compulsively checks out the window for his Mercedes CL, the manifestation of his pride. A telephone hangs on the wall next to David’s barber chair, and it will occasionally ring in the middle of a haircut. This is my favorite time. David’s phone manner is unwaveringly harsh, and callers are often berated by a torrent of Russian expletives that clank off his tongue. I like to imagine that David is an underboss in the Russian mob, and that he is ordering the head of an enemy to be presented to him inside a jar of blue barbicide. Sometimes I wish that David would ask me to kill someone for him. I would. But, other times I like to imagine that David suspects I can understand Russian, and that I have infiltrated his shop to spy him. It’s thrilling when I think that he’s caught on to me, and I lay vulnerably in his barber’s chair at the mercy of his razor blade. Suffice it to say that when I leave his shop, I am more appreciative to be alive than when I entered. The majority of David’s verbal abuse is reserved for his mistress and fellow haircutter, Sher. Sher is attractive and dresses like a Russian prostitute. Her make-up is heavily layered upon her deeply set eyes, but there is something very warm about her. One day, I entered the shop and found Sher working alone. This would be a rare opportunity for me to candidly pick her brain without being under the cloak of David’s watchful eye. Without forethought, I tossed out a lame compliment about her beauty, which I immediately regretted. Surprisingly, she was flattered, and I felt slightly less inappropriate. As she cut my hair, I probed her about how she had come to work at David’s shop. She told me that she had attended elementary school with David in Russia, and that they happened to run into each other years later after they had both immigrated to the United States. I had already learned more from Sher in ten minutes than I had learned from David in five years. Our conversation was uninhibited, borderline flirtatious, and totally outside the realm of what was acceptable under David’s roof. Sher stood nervously still but broke the silence. David walked across the room and lifted the lid off a jar of blue barbicide. He stared straight into my eyes. Sher let out a nervous laugh, but I remained perfectly still in my chair. David plucked a comb from the jar and combed back his greasy hair. He continued. David spoke a bit more about the encounter, but then promptly exited the shop as if he had some pressing business to attend to. Sher and I were left counting our blessings. I’ll never understand what prevented him from chiding me or casting me out into the street and beating me to death like the disrespectful gentile I was. Maybe I had caught him on his most forgiving day. Or maybe, and more likely, Sher would pay David for both of our sins in some dank motel room later that night. 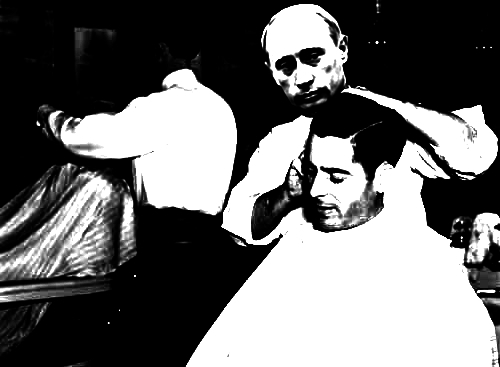 David’s Barber Shop is an autocracy ruled with an iron fist. If an employee becomes ineffectual, they can disappear without a trace. Take the following story, for example. When I first began to frequent David’s about 8 years ago, I had my hair cut primarily by a young man I called David#2. One day, David#2 wasn’t there when I came in. David#1 told me that he had died of a heart attack. I was very sad about it for a long time. Then, about 6-months ago, I walked in to get my hair cut and was aghast at what I saw. 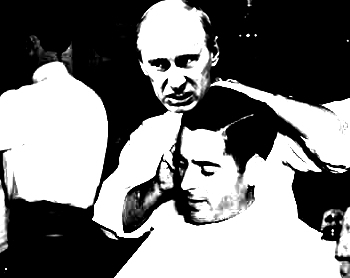 David#2 once again stood by his barber’s chair, sheers in hand. I was so perplexed that I never asked for an explanation regarding his resurrection. I chalked it up to being some kind of tactic involving David’s crime syndicate, and I kept my mouth shut. On any given day, entering this barbershop will make you feel as if you’ve been captured inside a deleted scene from Eastern Promises. If that appeals to you, and you can’t afford a bus ticket to Brighton Beach, then go no further than David’s Barber Shop in Oceanside, New York.